Lea Mose Svendsen is a finalist of the Redress Design Award 2018 and holds a BA in Textile Design from at Design School Kolding, Denmark. Lea is currently studying for a Master’s Degree in Fashion and Textiles at the same school. 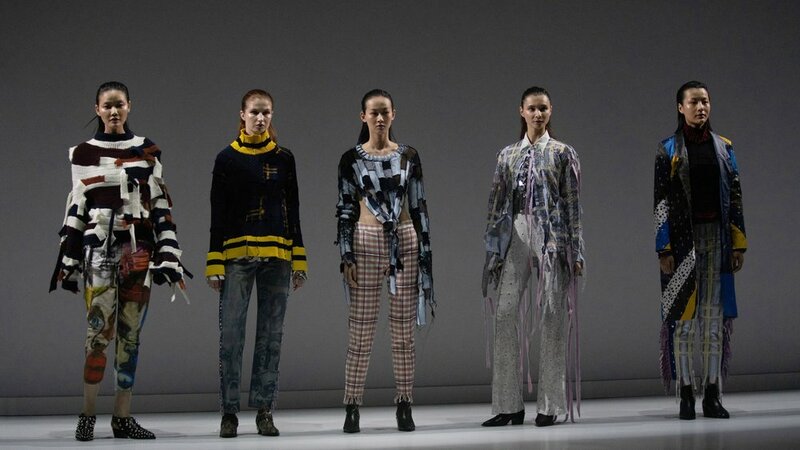 Lea takes inspiration from the gender bending and society questioning, expressionistic subcultures of punk and counter-culture for her Redress Design Award submission, to create an environmental and social statement with her collection. She up-cycles and reconstructs damaged textiles, sampling yardage and secondhand clothing into a non-binary, textural collection.